Our last gathering in 2005 was Romanian Garden which still exists on Skillman Avenue in Sunnyside. As far as I know, none of our group has returned for a second taste. And maybe that tells you all you need to know about our first taste, chronicled below. 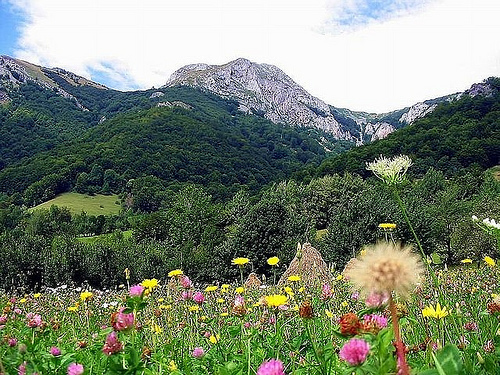 The cuisine of Romania is not one of the world’s most celebrated. And I admit to not knowing much about Romania beyond what I’ve learned from vampire lore—that it’s a country with a bloody past whose most well known historical figure was called Vlad the Impaler. That there was a Romanian restaurant in Sunnyside, Queens, and that Rick was able to find it was impressive and yet again displayed that the borough was indeed the epicenter of international eats. There were only four of our group at Romanian Gardens on this holiday week evening, and we were most likely the only four in the comfortable, bright restaurant who could not claim a Romanian past, though Eugene might remind one of a middle-aged Sicilian Vlad the Impaler. 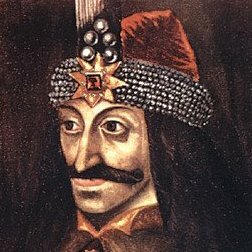 Vlad the Impaler bears an uncanny resemblence to Eugene…in his better days. The menu featured hearty Romanian fare—meaning stews or dishes accompanied by rich polenta. 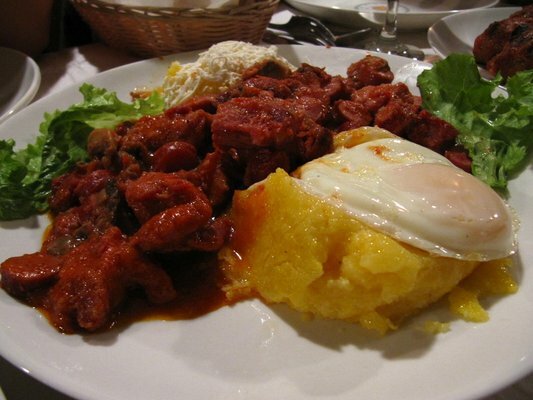 Who would have guessed that polenta was a staple of Romanian cooking? And the polenta we tried, in an appetizer topped with eggs over easy and sprinkled with a non-descript cheese was creamy and moist. The polenta also came with the stuffed cabbage and was the highlight of that dish. The Romanian stew was bits of pork in a bland tomato gravy while the red garlic chicken stew seemed to be missing garlic, red or otherwise. The appetizers fared better at Romanian Garden with the fish roe spread, a Romanian-version of the Greek specialty taramasalata being the standout. After overhearing a senior citizen with a thick Eastern European accent sitting at the table behind us reminiscing over the homemade pickles of her youth, and seeing that there were pickles on the menu, how could we resist. Though I can only hope the pickles she remembered, maybe from her village in the foothills of the Carpathian Mountains were better than what we experienced at Romanian Garden. Strudel was the dessert offering, but after all that polenta, only Zio, who was back in Connecticut recovering from post-holiday stress syndrome, would be the one to brave it. Garlic chicken stew, an egg, and polenta.